INDIA. Mumbai. 2006. 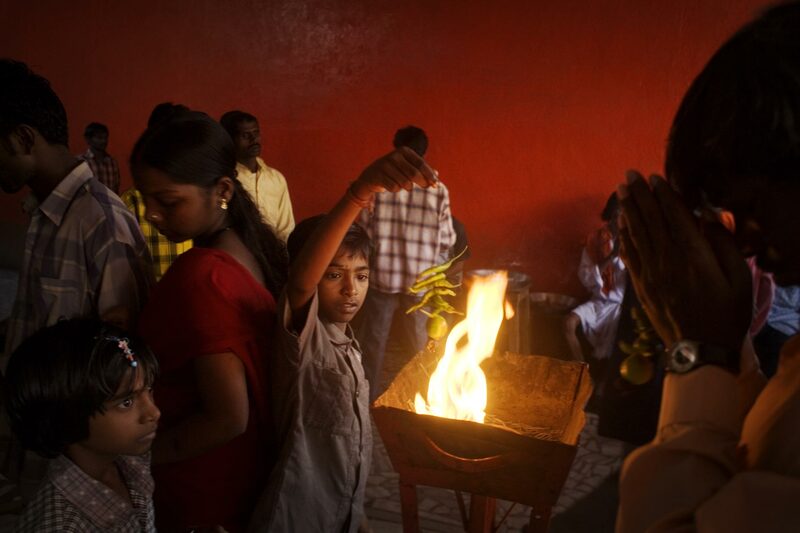 Worshippers during a Saturday prayers at Hanuman Temple in Dharavi. Orange is the color associated with Hanuman, the monkey-god.